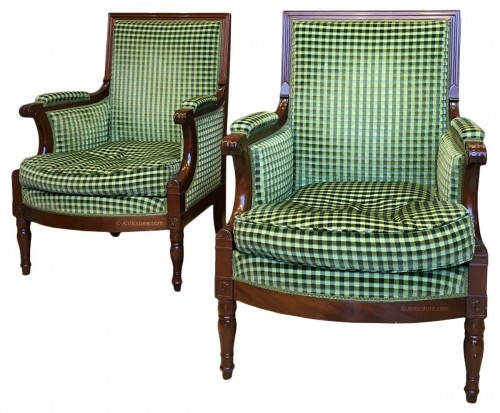 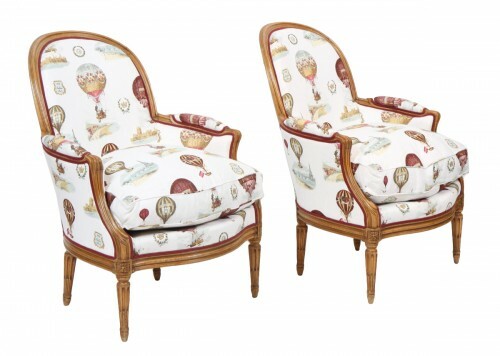 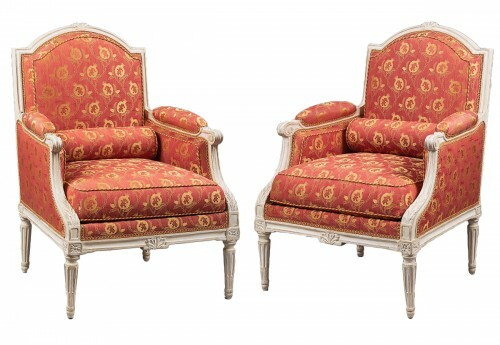 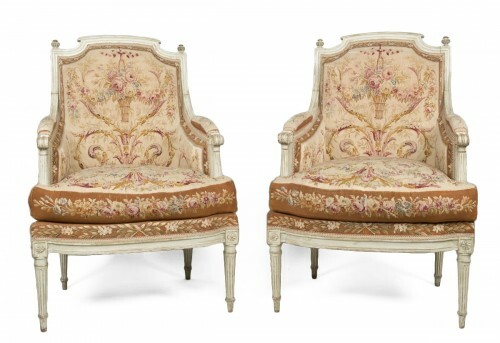 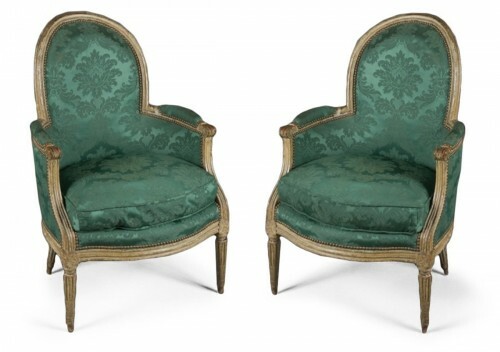 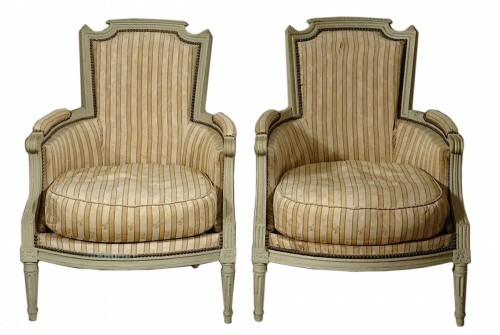 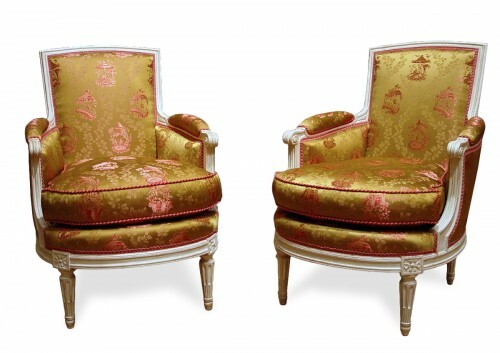 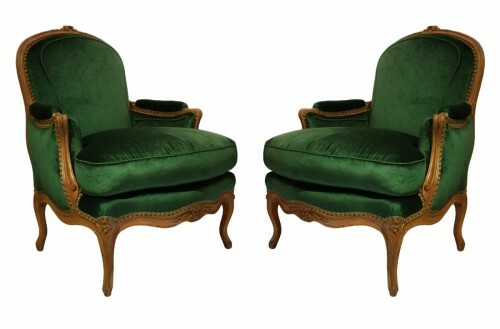 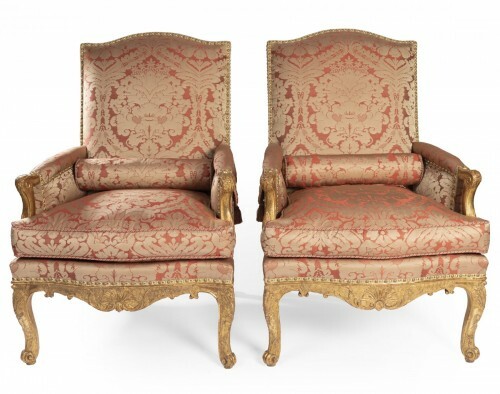 Pair of armchairs in gondola with curved back in blond mahogany. 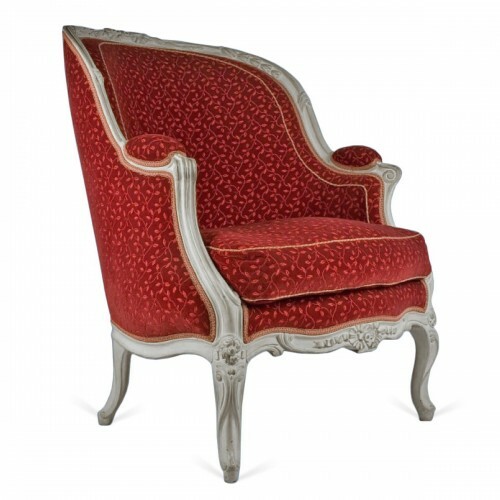 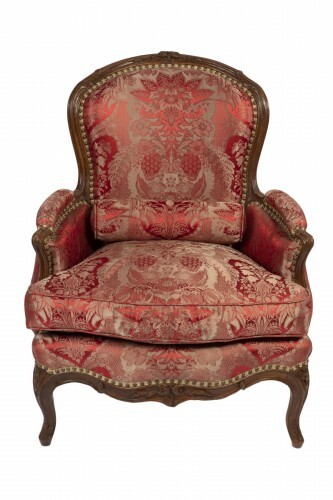 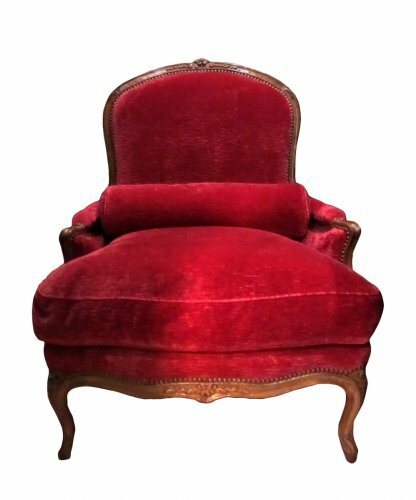 The wing chair emerged in France in 1725. 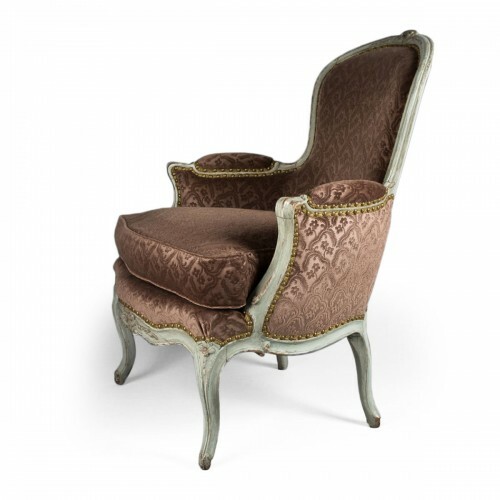 This chair, which is emblematic of the eighteenth century, is characterised by enveloping curves and is extremely elegant and comfortable. 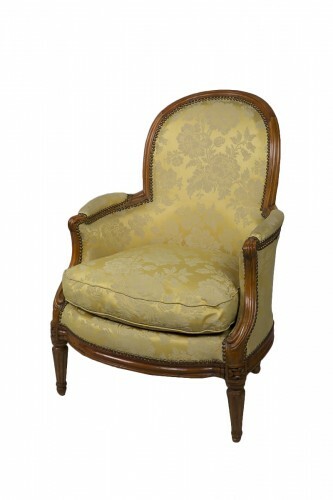 This chair is one of those antique pieces of furniture that has maintained an excellent reputation in the various styles and periods. 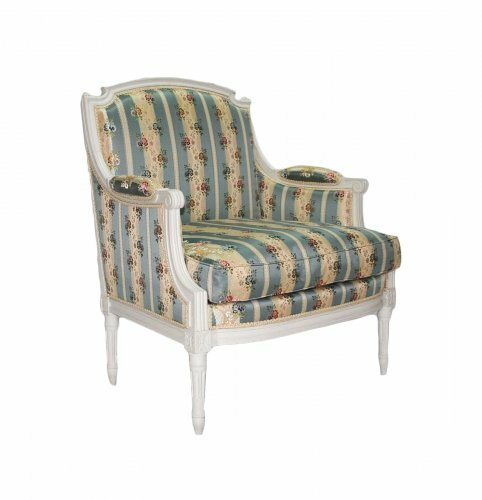 A chaise meublante (side chair) intended to provide comfort, the wing chair employed the aesthetic vocabulary that was in fashion in order to create an elegant harmony in interiors. 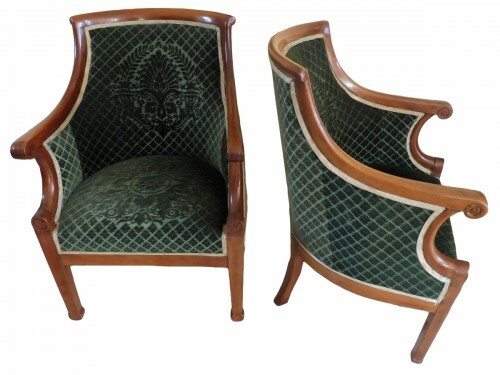 This antique piece of furniture attests to the unique skills of the cabinetmakers in the past. 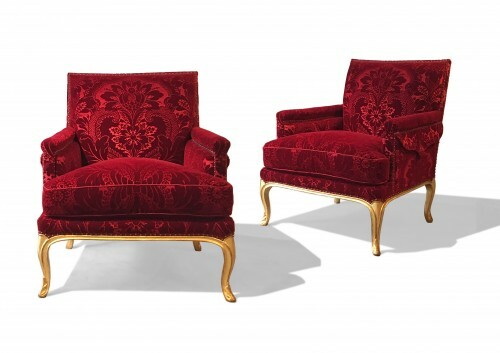 The wing chair, which emerged during the Régence period, was adapted to the subsequent styles in various models to fulfil the needs of a predominantly feminine clientele looking for luxury and comfort: the flat-backed wing chair (called à la Reine), en cabriolet (with a concave back), à oreille (with ‘ears’, projections from the top of the back), à joue (with ‘cheeks’), and the ‘gondola’ wing chair.